People are weak. They crumble. At the first sign of trouble they bend, break, then give in. 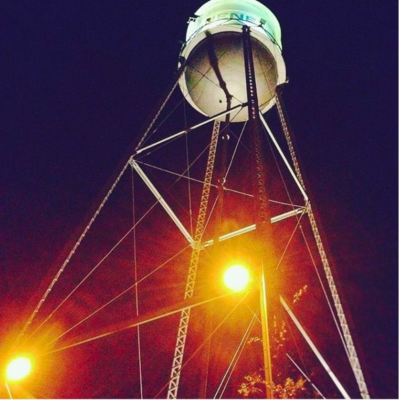 Standing tall in Gruene Texas, great little town with cool people and amazing food! The pressure sets in, the push for conformity, the drive to be like others regardless of the cost comes on fast, hard and strong. Fear overcomes most, they conform to the world around them and sacrifice their convictions. Of course, this doesn’t ALWAYS happen, but it happens a heck of a lot more than people standing firm on what they know to be right. When was the last time you saw someone fight the good fight just because it was the right thing to do? When was the last time YOU fought the good fight just because it was the right thing to do? It’s much easier to pander to the world, to give in and conform. It’s much easier to let your environment shape you. Where will the world be if we all do that? Where will YOU be if you do that? As the moment comes when you must make that decision, it will always be much easier to give in, but you’ll regret it forever after that. There is no short cut, no easy way, there is no justification for “adjusting” your ethics to make your life easier. The real leaders are the ones that don’t sacrifice what’s right regardless of the cost, and brother, sometimes it costs a lot. In the end, you’ll never regret doing what’s right, it might be very challenging, even painful, but you’ll never regret standing firm on your convictions. Stand high and strong in your convictions. So few remain steadfast in what they know to be right and just. This entry was posted in Entrepreneurship, Leadership, Life, Micro Blog and tagged Convictions, Doing what's right, Ethics, Leadership, Truth, Weakness.